Get your Ticket for the Exhibition and Conference now here! There is a limited number of free exhibition hall passes available. Other hall passes start at 12 SGD and also provide access to the opening. 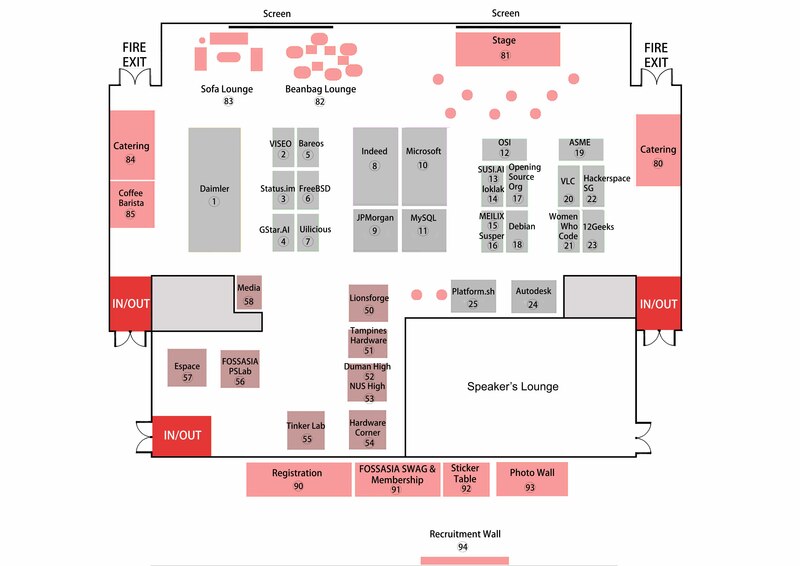 Here you find an overview of the exhibition booth layout. 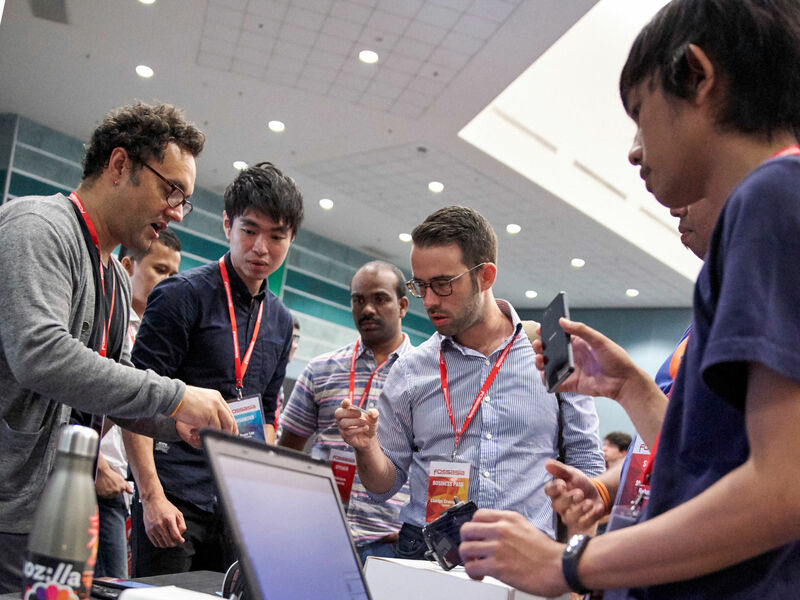 Learn about jobs, discuss career strategies with Indeed or get insights about the latest tech ideas from core developers of projects like VLC, Debian, CentOS, FreeBSD and many more at the exhibition. 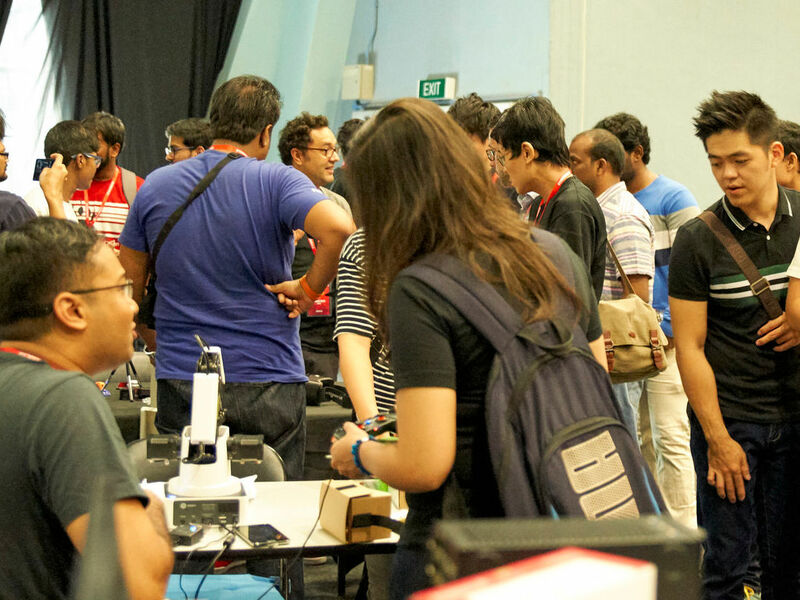 Find like-minded technologists in the exhibition lounge and get inspired in lightning sessions by exhibitors. A limited number of free exhibition hall passes is available. Other hall passes start at 12 SGD. Autodesk Singapore is Hiring! We provide exceptional compensation/benefit packages and we’d love for you to join us. Come to our booth to check out all the exciting open positions and don’t forget to pick the awesome Autodesk branded giveaways we have just for you! Autodesk is consistently named a Great Place to Work®, globally. In Singapore, Autodesk has been ranked among the top 10 Great Places to Work for the past 3 years, and ranked #5 in 2017. Bareos (Backup Archiving Recovery Open Source) is a reliable network open source software to backup, archive and restore files from all major operating systems. Bareos comes with a new multi-lingual and multi-tenancy web ui including restore browser, LTO hardware encryption support, bandwidth limitation, cloud storage support, a redesigned plugin interface, among other new features. Opening Source Org is a non-profit, open source community aiming at enchancing productivity and taking pleasure in technology by open source cooperation. Now Opening Source Org develops in Mainland China, Taiwan and Singapore. Daimler is one of the biggest producers of premium cars and the world's biggest manufacturer of commercial vehicles with a global reach. They provide financing, leasing, fleet management, insurance and innovative mobility services. 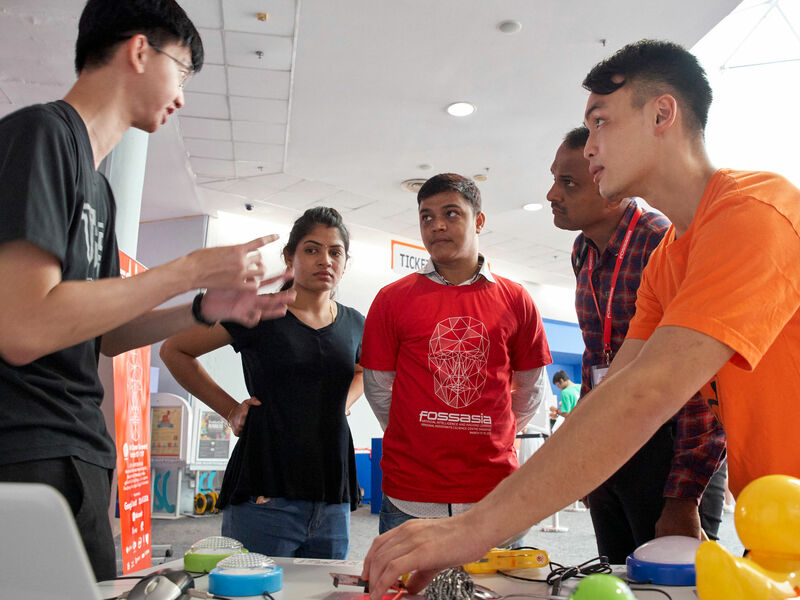 Dunman High School students will showcase their maker projects in MicroPython as part of the school's IMDA Digital Makers Programme. GStar Technologies aims to empower the masses to be able to use AI technologies in the fields of trading, thus leveling the playing field that had largely kept profitable trading out of reach of the masses. This further fuels the gig economy, where people can now earn a living based on their own terms, as traditional jobs gets disrupted in this new technological world. J.P. Morgan is a leading global financial services firm. We have been in Singapore since 1964 and have been instrumental in developing the city’s infrastructure and financial markets. Our Singapore Corporate Center is home to our Technology Team, which drives innovation and creativity to deliver better, faster, safer and simpler banking solutions for clients. The breadth of capabilities within the Technology team supports and empowers the firm in leading-edge areas including Digital, Big Data Analytics, Robotics & Machine Learning. Platform.sh is a continuous deployment cloud hosting service that can scale applications from the smallest project to ones handling millions of visitors. It’s ideal for agile software teams because of its unique feature: it can replicate a live production cluster in seconds and create byte-level clones of ephemeral dev and staging environments, making testing and validation up to 20x faster. Not just a bounty platform to build features and solve bugs that core contributors don't have time to tackle. At Open Bounty, we are redefining software development to make it workable in a decentralised world. Space where repository maintainers can come together, incentivize work, and find great talent. A hub for developers, to search for and contribute to meaningful open source projects and be rewarded for their efforts. At Open Bounty we are building the hub of development work in a decentralised, open and transparent ecosystem. Tampines Secondary School was established in 1986 and named after Tampines New Town. It was one of the first schools built to serve the new community. Their founding educators charted the journey for TPSS with the ideal that young Tampinesians should acquire both character values and practical skills to serve society. The school motto then, "Betterment of Self for Society", is an aspiration which they still stand by today. VISEO Asia, a subsidiary of VISEO Group in France, is specialising in digital experiences, new technologies, business processes and data strategy. VISEO is the ideal partner for company’s transformation projects. With over 1300 team members working across five continents, VISEO works to simulate new ideas, new offers, new ways of collaborating and new methods for producing or selling.